Simon Grant was admitted as a Barrister of the Supreme Court of Queensland on 16 June, 1997, a Barrister of the High Court of Australia on the 29th January, 1999 and a Solicitor of the Supreme Court of England and Wales on 17th March, 2003. He has completed Mediation Training at the Queensland University of Technology (QUT) in 2001. 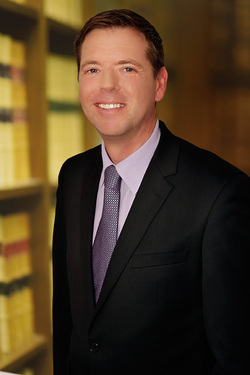 Simon accepts instructions from Solicitors to appear and/or advise in the above areas of law, in preliminary disputes, in hearings and trials at first instance and in appeals. He also accepts briefs from in-house corporate counsel. Simon is available to act as a mediator or to appear for parties in mediations. He has extensive experience representing parties in mediations. Simon is co-author of the LexisNexis loose-leaf and online service Civil Liability Australia with Richard Douglas QC and Gerry Mullins, as well as being co-author of the Annotated Civil Liability Legislation Queensland (from the 1st edition to the current 4th edition). Previously a tutor at the Queensland University of Technology in 2002/2003, Mr Grant has also been involved in the QUT Alumni mentor program.